That behind the Holy War of Islamic extremists there were substantial international funding was well known and proven already by the Bulgarian journalist reportage Dilyana Gaytandzhieva who had exposed the trafficking of weapons bought by the US and ended at ISIS. But it was enough to just look at the pictures of the terrorists of Al Nusra Front in Idlib in Syria into a branded tent USAID (United States Agency International Development fort), the US government agency for the fight against global poverty and the strengthening of democracy in the countries of third world expelled from Russia in 2012 because it considered lending of subversive movements. More eloquent image of the traces of grants which are only in the US program called Syria Democracy Program and intended to support the Free Syrian Army terrorists but not officially . Now thanks to the reportage of Russia Today Arabic here is the proof that there was a real tariff of awards for the valiant jihadi mercenary Isis: “The use of chemical agents was paid in silver, while the downing of a helicopter was rewarded gold – writes RT in Iraq got the cards belonging to the terrorist group – Despite the common belief that the fighters of the Islamic State (iS, formerly ISIS / ISIL) have often been forced to join or have been recruited on the basis of conviction their faith to fulfill the Jihad, the documents from the Iraqi city of Mosul seen by RT show that the struggle for the caliphate proclaimed its financial incentives had also “. Joining the ranks of the terrorist network of self-styled Islamic State Caliphate (Is or Isis) in the territory of Syria and Iraq was only possible through a letter of recommendation in which the new recruit was carefully evaluated on the basis of his military training and his respect sharia. “Once enrolled recruits remained under the careful supervision of IS commanders, who were monitoring the actions, munitions and supplies until the eventual death – adds Russia Today – Those who served in the army of terror loyally and faithfully were rewarded or at least they received a promise of a reward. ” This basis of a “tariff” that was not vary the fees in relation to the danger of the mission but the result achieved: who has managed to bring down a plane is promised a car. While destroying a helicopter or a drone enemy earned at least seven gold dinars as reported by the accounting records seen by RT Arabic. Even for the use of chemical weapons was devastating it will be a prize but being easier terrorist activity to be made sign had therefore less valuable: the Isis paid only 10 silver dinars to his fighters to shoot a pregnant bullet some chemical banned as “mustard gas” which, from a survey of the Iraqi army, appears to have been used by terrorists near Kirkuk, Fallujah and Tikrit. The mustard gas, which owes its name to the typical smell of mustard, is the thioether of chloroethane, better known as mustard gas, one of the most toxic substances vesicant used in chemical warfare. It owes its name to the Belgian Ypres who used it for the Germans in 1917 during the First World War. Exposure to very high doses leads to serious damage to the respiratory and hematopoietic apparatus. They are also described forms of blindness from keratitis. As well described by another article published by RT in February 2017 to refugees the Islamic State also offered another alternative enrollment among the fighters in the war zones of Iraq and Syria, or a free trip to Europe. 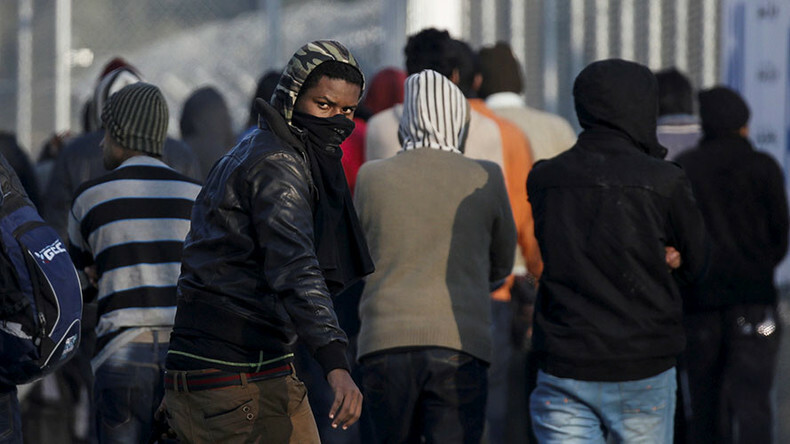 All new recruits who affiliavano to the terrorist group was upgraded more, in some cases, an incentive of $ 1,000 to infiltrate the community of migrants in countries of destination. 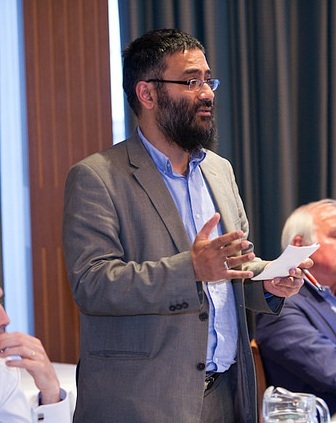 A support was a report from the leading think-tank British anti-extremism, Quilliam think tank in London led British Muslim dal’astronomo Usama Hasan, known for having recently signed the appeal to provide political asylum in the United Kingdom to the Christian Asia Bibi persecuted in Pakistan but also for the fatwa launched in 2014 by him and other Muslims who condemned British Muslims fighting for the “Islamic State tyrannical and oppressive of Iraq and the Levant “. Their fatwa “prohibiting religiously” to the British jihadists aspiring to join ISIS and requiring all Muslims to oppose the “poisonous ideology” of the terrorist group. 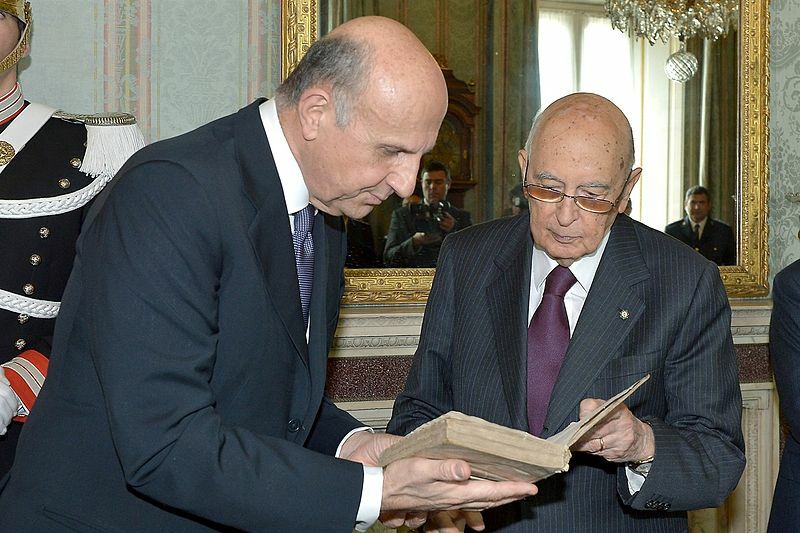 Scholars of rimarcavano Islamic extremist phenomena that terrorists were well aware of the value of the migration routes in the Eastern Mediterranean, and therefore offered a free upgrade and a certain degree of security to their recruits destined to become bombers or remain dormant subversive cells waiting order to enter into action. In some cases the Isis condeva an additional incentive of well 1. 000 dollars, a very large sum for a refugee from war zones. “Over 90% of arrivals in the European Union was somehow facilitated by some form of illegal business’ further highlights the report by the think-tank Usama Hasan reported by RT that also mentions the concerns of the Italian intelligence chief Alessandro Pansa, general manager of Dis (the Department of information security that coordinates the activities of secret services Aisi and Aise) who said that the iS resorts to human trafficking as the primary source of financial revenue. “Your sources of income, mainly smuggling of petroleum products and antiques, is near the end. We believe that terrorists have recourse against trafficking in human beings as a new source of income, “ he told La Stampa. A shared alarm by security officials of Germany, UK and other European countries that believe this is aimed at recruiting followers and export agents able to build sleeper cells or handle hidden networks. In 2016 alone over 180 thousand migrants were illegally transported by sea from Africa to Italy on board overcrowded ships, according to the UN agency for refugees. Europol, the EU police agency, believes that criminal networks may have gained 6 billion euro (6.44 billion dollars) only in 2015, providing transport, housing and false fraudulent documents at bargain prices. Then there are two other benefits that are part of the so-called fugitive or would-be terrorist kit: a SIM phone card and a credit card, both anonymous, But we talk about in another article for the phantom terrorists kit .